Minimum charges apply to all work undertaken via remote support. Any and all charges pertaining to a requested job will be borne by the client in full. Repair services are conducted under our full general service terms and conditions which are available upon request. The repair of your PC, Device or other goods may result in the loss of any user-generated data. Please ensure that you have made a copy of any data saved on your PC, Device or other goods. This is the customers responsibility prior to the device being presented for repair in person, onsite or remotely. Goods presented for repair may be replaced by refurbished goods of the same type rather than being repaired. Refurbished parts may be used to repair the goods. 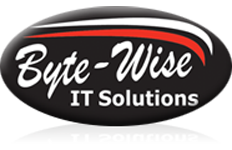 Bytewise IT Solutions Pty Ltd and/or its employees shall not be liable at any time for any data/software loss, alteration and/or corruption. It is highly recommended that adequate backups are stored in a seperate, detachable location such as on a USB memory key, external Hard-drive or cloud based backup. We shall not be liable for any costs incurred by the customer including but not limited to any loss of business and/or income due to any special, consequential, direct or indirect loss, damage, harm or injury suffered or incurred by the customer. Any dispute regarding work undertaken must be brought to the attention of Bytewise IT Solutions reception staff within 2 business days of the device being either worked upon onsite, remotely or from date of pickup from the workshop. After this initial period no new correspondence will be entered into and as such will result in a new service request. We reserve the right to hold any equipment and/or configuration details on which services have been provided until payment is made in full. If physical equipment is held for longer than 6 months, we will dispose of or sell in accordance with the Disposal of Uncollected Goods Act. Storage fees may also apply after 14 days. Bytewise IT Solutions reserves the right to refuse undertaking of services should these terms and conditions not be accepted by the customer by means of a signature or electronically accepting the terms (by means of clicking ‘I Agree’ for remote support). Company representatives who authorise a work request but did not have the right to authorise such work, will be deemed personally liable for all costs and charges relating to the work request.